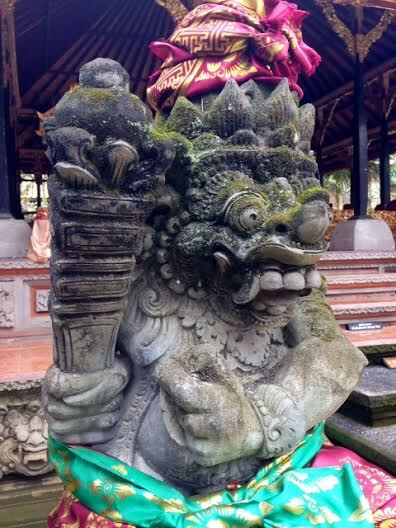 There is lots to do in and around Villa Abadi, with its location providing ease of access to the main tourist hubs but also opening up endless opportunities to experience the real Bali that so many visitors don't get to see. Click the logo for the attractions own website and the map for a Google Maps precise location. 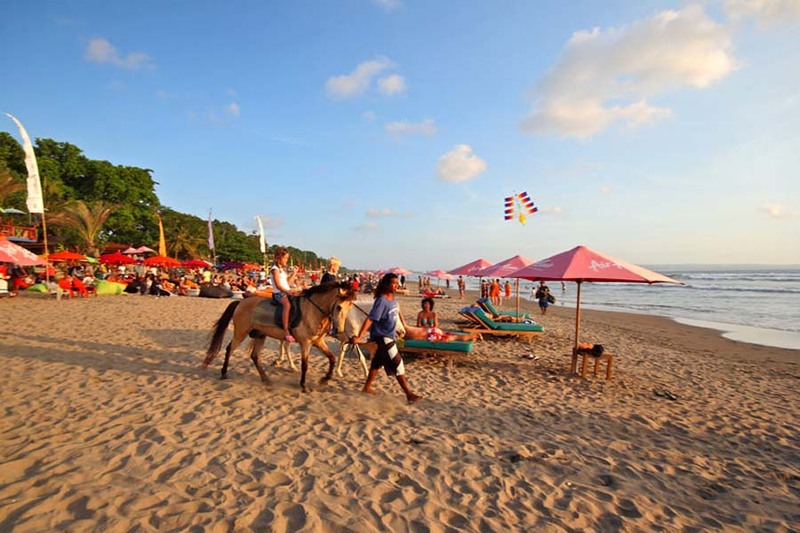 We offer the perfect location from which to meet local Balinese people and gain an insight into normal Balinese life. 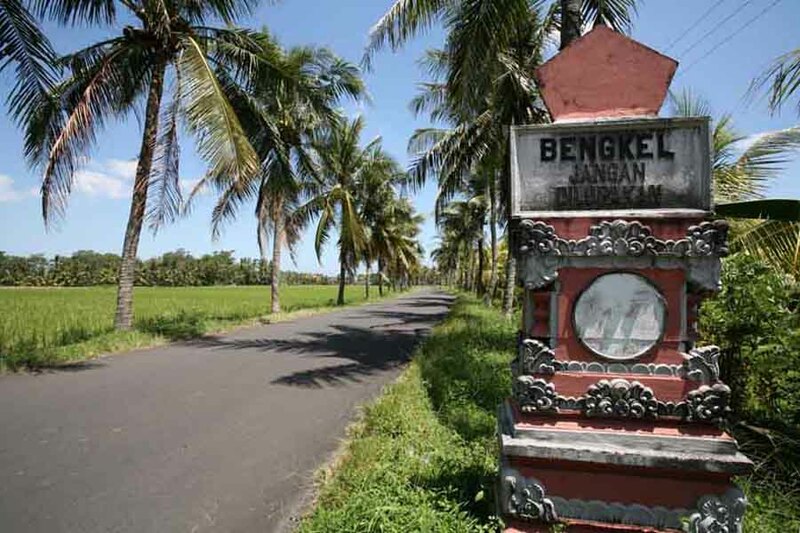 Villa Abadi is in the heart of the village of Bengkel and has lots to see and do on short walks from the villa. All of our guests are pleasantly surprised at how talkative and welcoming the villages are. 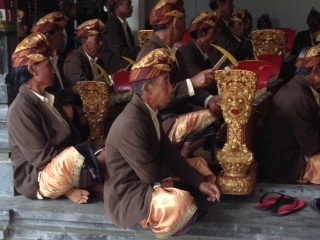 They see very few westerners so are genuinely as interested in you as you are in them! Part of our routine when we're at the villa is to walk up the entrance lane into the village to buy fresh eggs in the morning for breakfast - some of the best we've ever tasted. On the way up the lane you will pass a small holding where hens, chickens and the occasional pig will wonder by - something our younger guests can't get enough of. 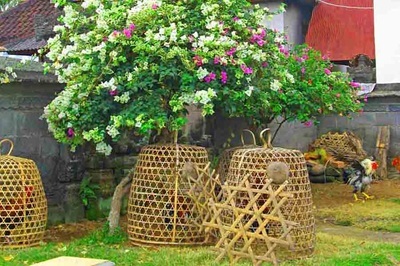 From this part of the village there are a number of walks that can take you in both directions on the main road through the village or a number of smaller lanes that take you either into part of the interior of the village area or back towards rice terraces, the river and one of the rice harvest temples. 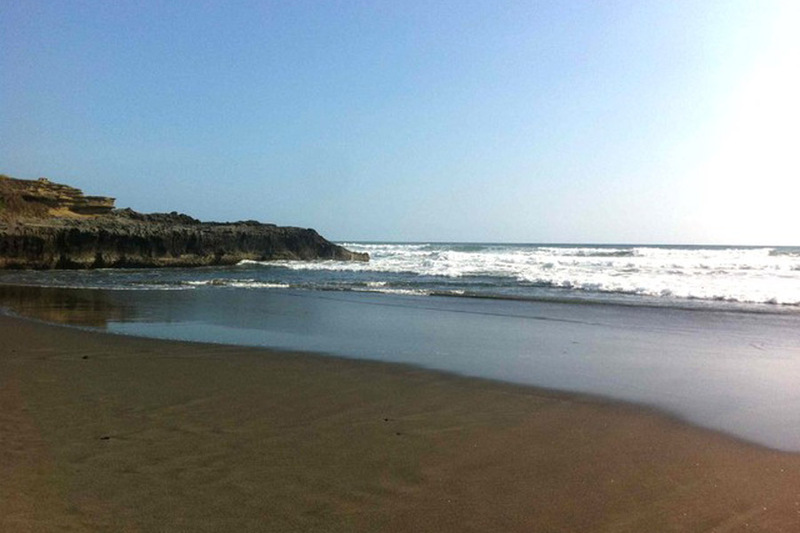 If you walk directly South you will eventually end up on the beach. 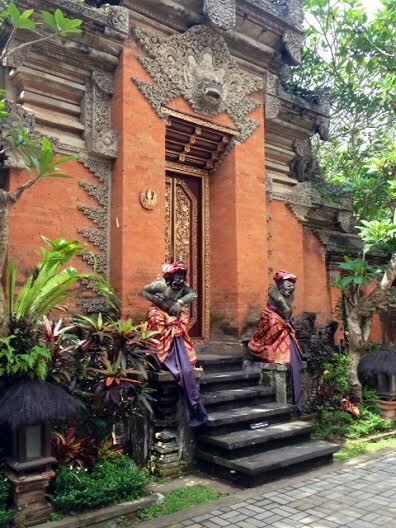 Alternatively, there is an access path directly from the front of the villa into the main rice terraces, down the steps in front of the water well temple next to our garden. 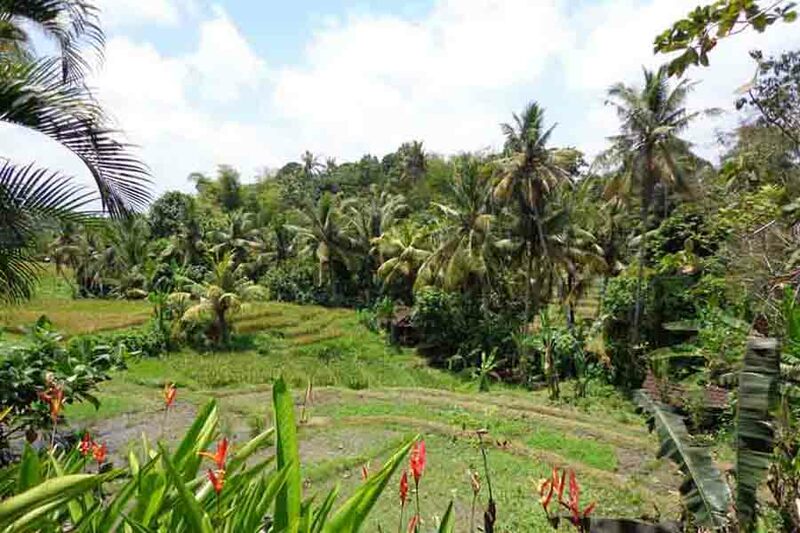 This leads down to the river at the bottom of the rice terraces that are overlooked from Villa Abadi's pool. You can either cross the river (it's quite small - see photo above) and head up into the other half of the local village area which is very nice or follow the river further West as far as your legs are prepared to go! Bali is spoilt for beach options and whether you want seclusion, surf action, a lively beach scene or simply somewhere to take a dip or catch some sun they are all there for the taking. In general, if you're looking for quieter less developed beaches head west along the coast from Villa Abadi and take some of the many small lanes that end up on deserted beaches. 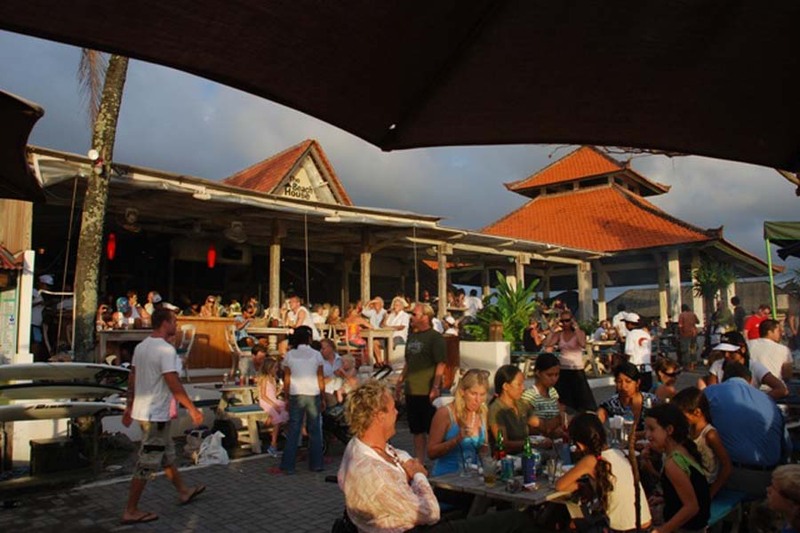 If you're looking for something more lively head east and they become busier the further back towards Ngurah Rai airport you go. We've listed some of our favourites below. 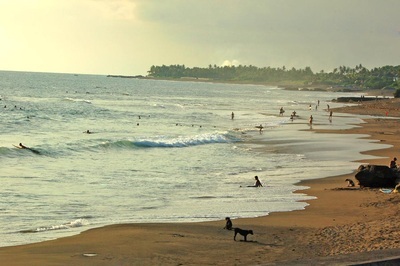 One of our nearest beaches - It's just 3km away and is normally completely deserted apart from the occasional local visitor to a small temple next to the beach. Nice for walking and for the kids to splash around. We're so fond of it that its location remains a closely guarded secret that we only share with confirmed guests of Villa Abadi! 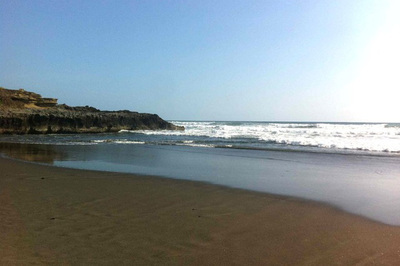 ​​​Echo Beach - more of a surfing location than swimming, but still good for walking and splashing around. 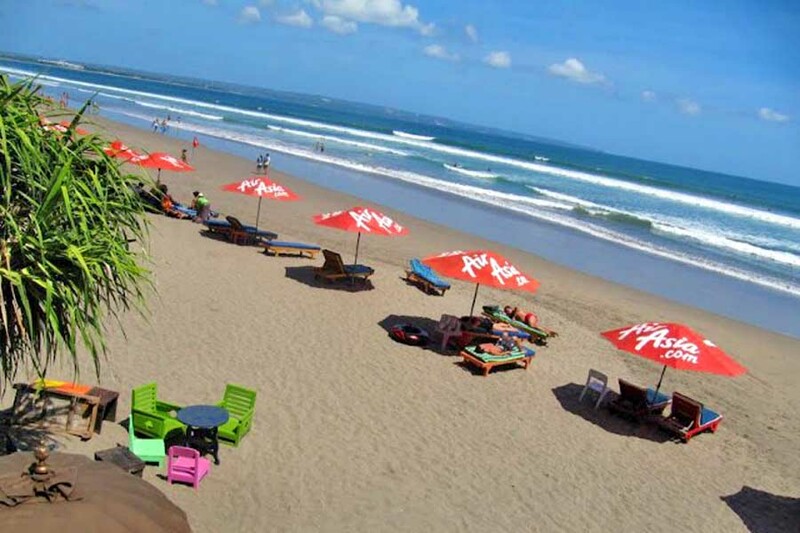 Echo Beach is about 25 minutes from Villa Abadi and has a number of beach side cafes, shops including surf hire & lessons and it's also the location of a new Beach resort currently under development. The cafes are a good casual place to have food whilst watching the surf and they also have a barbecue most evenings. Seminyak / Legian - If you want pristine white sand beaches but lots of tourists then Seminyak is a good option which is about 45 minutes from Villa Abadi. 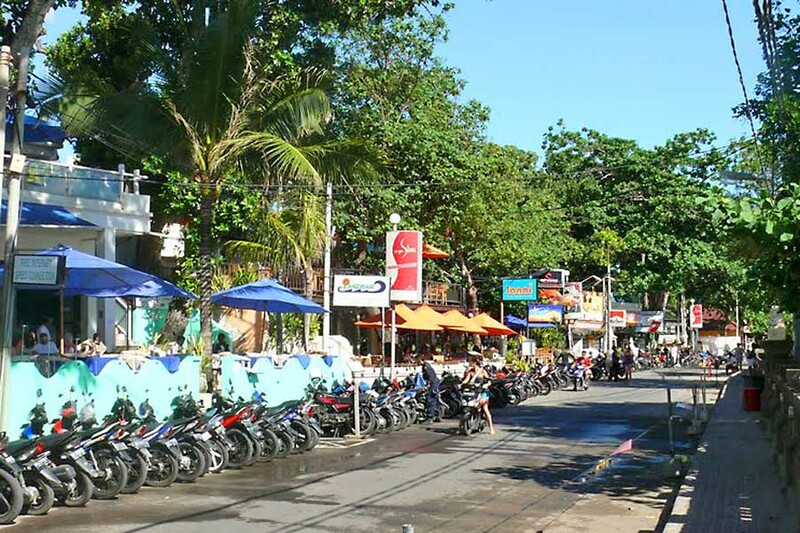 It has a pedestrian road alongside it and on the opposite side of the road are numerous restaurants and bars. 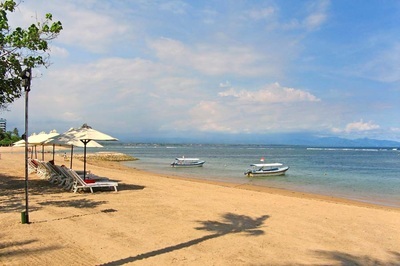 The beach also has rentable sun loungers and activities for hire. 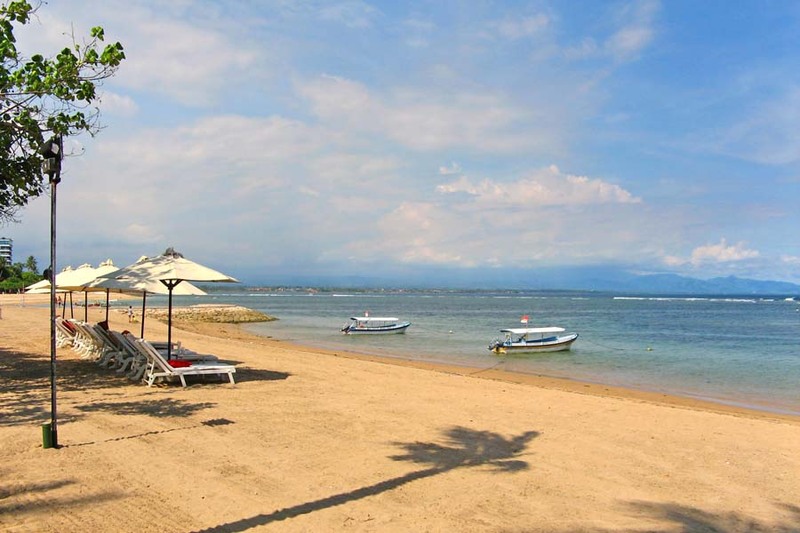 ​Sanur - Again, white sand beaches, but further back towards the airport so if you want this option be sure to avoid rush hour in both directions as the traffic can get busy. It's about 75 minutes from Villa Abadi outside of rush hour. Whilst Seminyak beach is an easy "tourist hub" option we think Sanur is a bit more laid back, has less tourists and has some good walks etc as well as casual beach side restaurants. 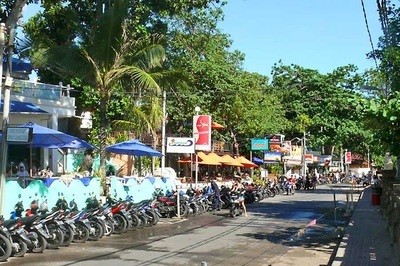 If you're looking for something more formal in the way of entertainment there are lots of options for a potential night out whether it's simply a nice restaurant with live music, a formal show or something a little more local and Raty, our villa manager, is always a good source for options that are around nearer to the time. 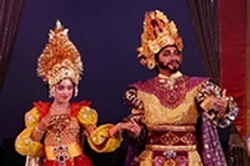 One of the 2 main formal Balinese cultural shows on the island, Devdan is a stage trip around the treasures of Indonesia at the Bali Nusa Dua theatre which is just under 40km from the villa. There are four 90 minute shows a week (Mon, Wed, Fri, Sat) at 7pm and tickets range from US$40 to US$85 (There are also larger seat VIP tickets at US$120 which are not worth the ticket cost) which can be booked online. There is a 10% discount for purchase of 3 or more tickets but when we last checked the online booking system didn't seem to apply the discount. The website also provides details of restaurants within walking distance of the theatre for pre or post show dining. 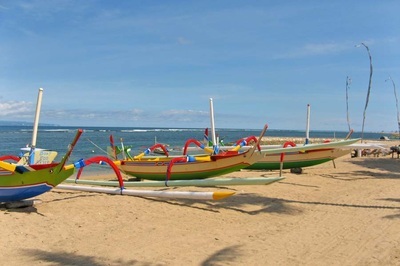 Receives consistantly good reviews on TripAdvsisor. 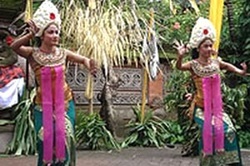 Bali Agung is a matinee show at the Bali Safari & Marine Park (see seperate info in Places of Interest) in Gianyar which is also just under 40km from Villa Abadi but has the advantage that to get there you don't have to head back into the tourist hub areas which means it can be much quicker to get to especially at peak times. 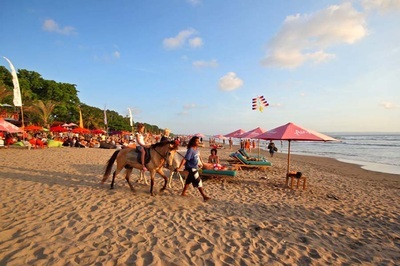 There are between 4 and 6 sixty minute shows a week (depending on season) at 2.30pm and tickets range from US$49 to US$85 per person as part of package deals for Bali Safari & Marine Park which also include access to the park, safari and animal shows etc. Check on the reviews on TripAdvisor. 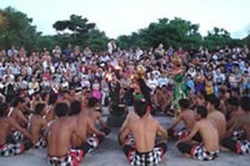 At the more casual end there are a lot of Balinese dance and festival performances throughout the island and a good reference guide for some of the main variations can be found at Bali to Bali through the link below. We would note that there are many tour companies who will simply charge a markup for arranging tickets from a 3rd party so if you want to see one of these performances please shop around, If you are a guest of Villa Abadi our villa manager will be happy to assist. 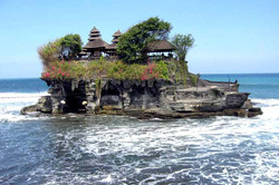 Tanah Lot gets over 2 million visitors a year. 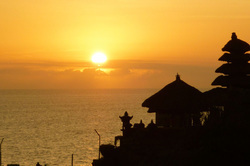 The vast majority come from the major tourist hubs of Kuta, Legian, Seminyak & Nusa Dua and most of them most arrive and depart just before and just after sunset to catch the classic Tanah Lot view. Their time simply spent on the road getting to Tanah Lot and back will typically be between 2 and 3 hours if they don't make any other stops! 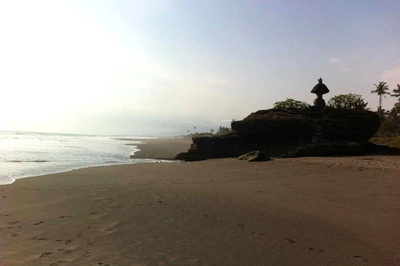 Villa Abadi is just 10 minutes from Tanah Lot in the opposite direction to the tourist masses and our advice is to avoid the peak sunset times unless you really must have that shot, but be aware that the temple itself is closed at high tide due to the causeway being flooded. 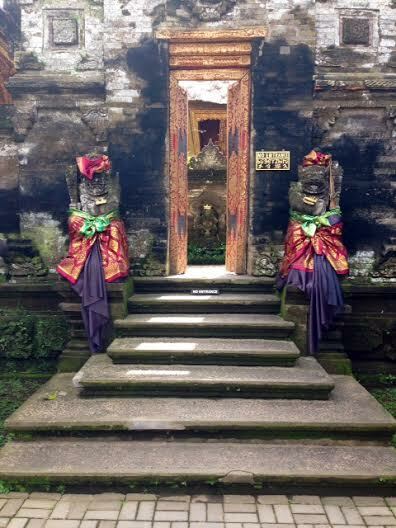 Entrance tickets are Rp 30,000 for adults and Rp 15,000 for children plus Rp 5,000 for car parking. 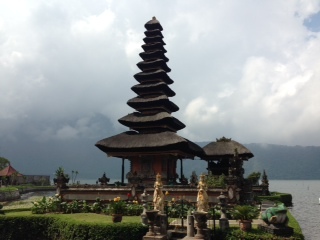 45km, between an hour and 80 mins from Villa Abadi dependent upon the route you take is the picturesque Lake Bratan and the iconic Bali Pura Ulun Danu temple on the lake. 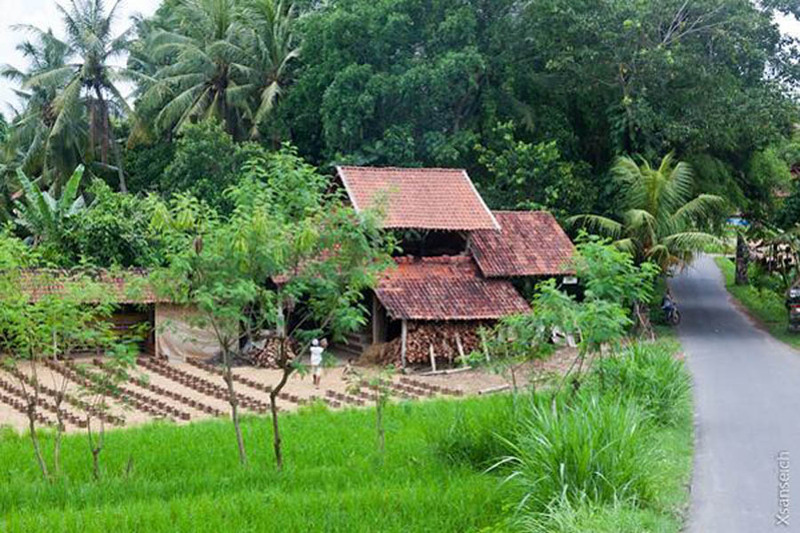 The route passes Jatilwah rice terraces on route, so it's easy to make a day out of the trip. At around 5,000ft above sea level it is noticeably cooler so a great escape if you've had a little too much sun. 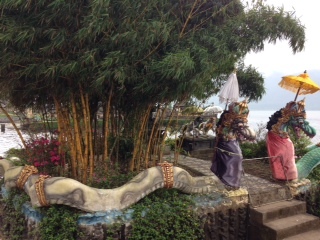 The temple complex is very well organized and run with ample parking, landscaped gardens with children's play area, working temple that often has live music, a couple of very good cafes and, of course, some great views out over the temple and lake. Small boats can be rented nearby for trips out onto the lake itself. 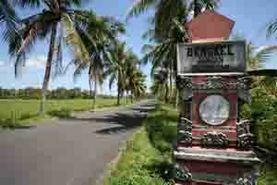 The area around Lake Bratan is famous for it's strawberries which thrive all year round due to the cooler climate. We highly recommend that you try them out as they really are good. The Ulundanu restaurant within the complex serves up a gorgeous strawberry pancake with honey and ice cream! They also do light lunches such as mie/nasi goreng, roast chicken, sweet & sour etc at very reasonable prices of between Rp 30,000 and Rp 70,000 per dish. There are some very nice scenic drives further into the hills and to lakes Beratan and Buyan, which are well worth exploring, but there is real currently no established circuit so you will probably find yourself having to turn around at some point to head back. When the eastern route via Mengwi is linked to the western road back to Tabanan it will form an excellent circular route - although it'll probably make it a lot busier as well. 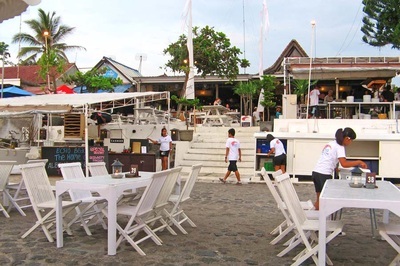 Entrance tickets are Rp 30,000 for adults plus a small charge for car parking. Unfortunately we haven't been able to find a good website link so far - we'll keep looking and well add asap. 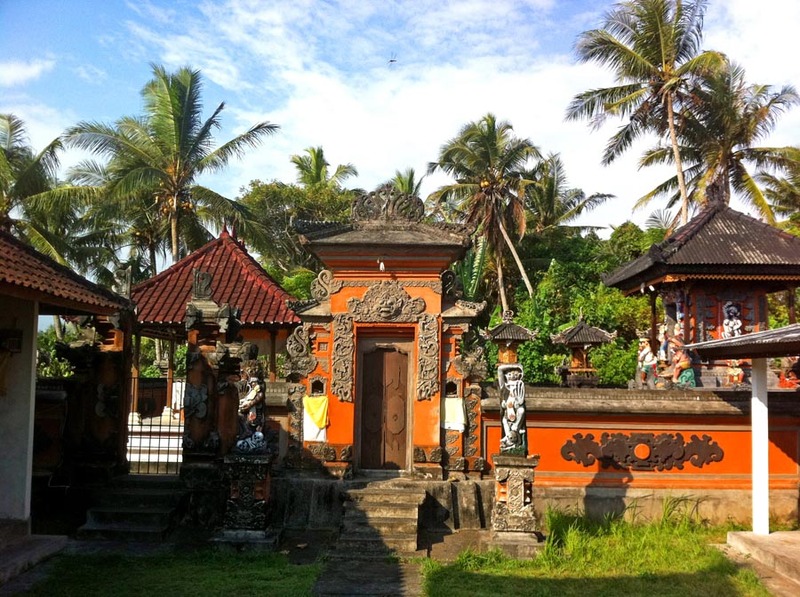 The small but perfectly formed remains of the once royal palace in Ubud, just a few steps away from bustling Jln Raya Ubud, are a great escape from the tourist throng as they are not normally crowded despite their location. Entry is free and they are worth spending 20 minutes exploring for the interesting architecture and ornate stat There are some very nice scenic drives further into the hills which are well worth exploring, but there is real currently no established circuit so you will probably find yourself having to turn around at some point to head back. When the eastern route via Mengwi is linked to the western road back to Tabanan it will form an excellent circular route - although it'll probably make it a lot busier as well. 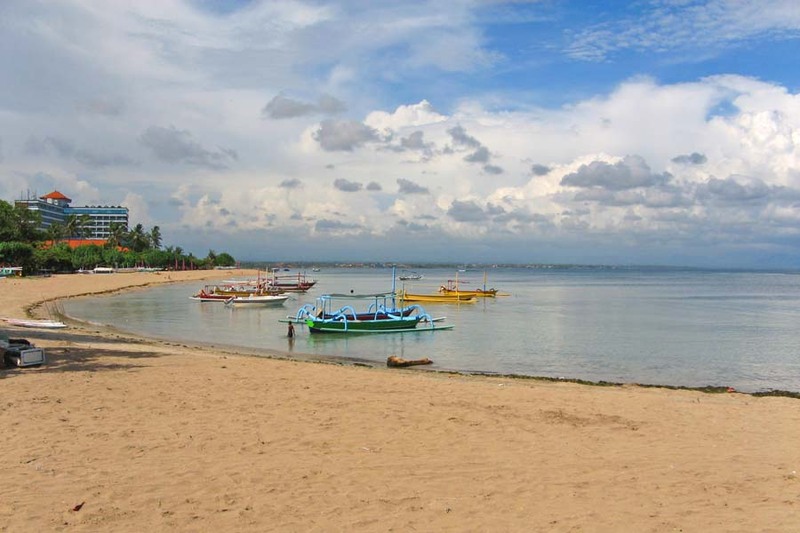 Awarded a Tripkey Certificate of Excellence 2014, Bali Safari & Marine Park is an enjoyable day out for the whole family. It's just under 40km from Villa Abadi near Gianyar......It's also the location of the Bali Agung cultural show (see seperate info in Shows & Performances"). 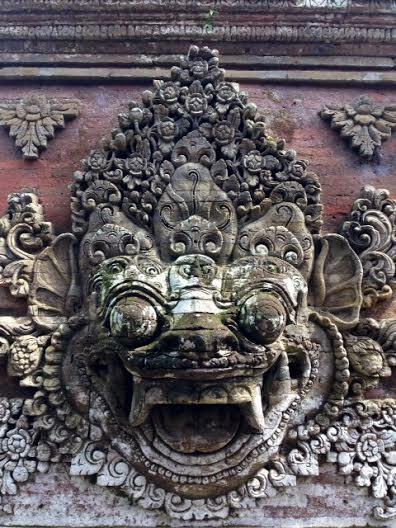 Open 7 days a week, 9am to 5pm, but note that tickets with Bali Agung show option only valid between 4 and 6 days a week dependent upon season. 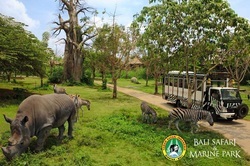 Entrance tickets vary between US$39 after 2pm for basic "Adventure Safari" with elephant show & access to the park, through US$49/39 "Jungle Hopper" for addition of Aquarium, animal and Bali Agung cultural shows, US$69/59 "Dragon Safari" including lunch to US$85/55 "Elephant Safari" including elephant back safari. Childrens prices are for under 13's. 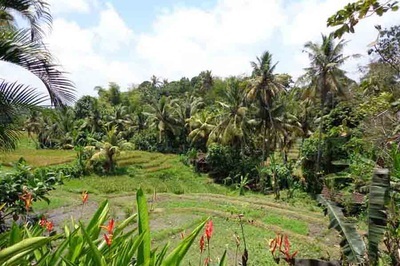 Elephant rides are less authentic than the alternative offered at The Elephant Safari Park at Taro, North of Ubud. 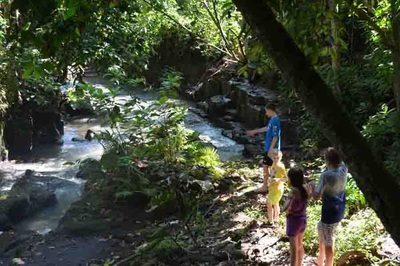 The additional US$80 for a family of 4 between "Jungle" and "Dragon" is simply for lunches, which some TripAdvisor reviewers describe as very basis, so sounds expensive.